Poor appraisals are a reality of real estate, and agents simply have to prepare accordingly. An appraisal can be revised if the agent contests the report quickly, accurately and professionally. If a bad appraisal cannot be fixed and it’s hurting a potential deal, then order a second one. In this monthly column, a member of Miami’s Master Brokers Forum will examine and positively resolve potential differences which may arise between real estate professionals in the field. 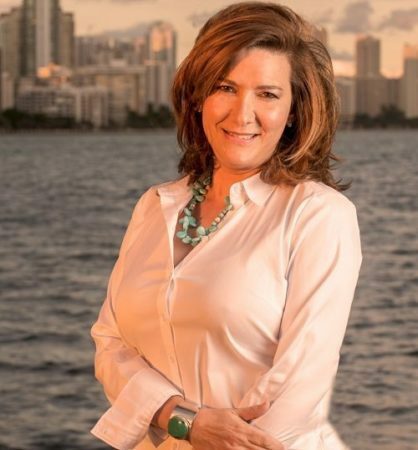 This month’s edition is written by Master Broker Iliana Abella, Realtor and co-owner of Greater Miami Investments, a full-service real estate boutique located in Coral Gables. The situation: Two Miami real estate agents, representing both sides of a potential home sale, must overcome a poor appraisal. While we have many terrific appraisal professionals here in Miami, an unfortunate reality is that poor and inaccurate appraisals have become a common occurrence. These can cause serious obstacles to completing deals, forcing buyers and sellers to re-negotiate already agreed-upon prices and often resulting in cancelled contracts. Fortunately, there are ways for prepared and resourceful agents to overcome unsatisfactory appraisals. Many appraisers will tell you that their report cannot be amended once filed — but that is simply not the case. I have found that if you offer a quick, well-researched, and professional response to a poor appraisal, appraisers are usually willing to amend the report accordingly. To begin the process, I thank the appraiser for their work and am careful not to insult them. Then, I carefully point out where I think they might have made a mistake or overlooked an important improvement or upgrade in the subject property. I try to frame the discussion as me assisting them more than challenging them, pointing out with facts why the property may be worth more than the appraisal states. One common mistake on appraisals is the use of foreclosures or short sales as comparable properties when the subject property is a traditional and not a distressed sale. In cases like this, I will provide the appraiser with comparable sales that they might have missed, perhaps because they were not listed on the MLS or because I have access to information about a home that has not been recorded yet. The information has to be reliable, and I always make sure to provide documents to back up my position. I also make it a point to attend all of my transaction appraisals and to give the appraiser a list of all the property’s improvements and upgrades BEFORE they make their report. If the aforementioned strategies fail and a flawed appraisal cannot be revised, then I suggest to the parties that we simply get a second appraisal. While this may be an added expense of both time and money, I find it can very often can be a deal-saver. For example, I was recently negotiating a cash transaction for a listing, and my buyer wanted to make absolutely sure he was paying the right market price. The buyer and seller were quite apart on the sales price, and while the first appraisal justified my buyer’s offer, the seller was still unwilling to bring her price down. Working with the seller’s agent, I suggested that we get a second appraisal, and recommended two professionals with whom I had worked before. This turned out to be the lynchpin of the deal: The second appraisal was $20,000 more than the first, so both the buyer and seller agreed to split the difference. Fortunately for the deal, the agent representing the seller was on board with this strategy and highly cooperative. As poor appraisals continue to trouble our industry, my fellow agents must work together to overcome these issues, advise our clients carefully and develop creative ways to adequately close our transactions. The Master Brokers Forum is a home-grown, elite network of South Florida’s top-producing real estate professionals, built on a core foundation of ethical and professional behavior.